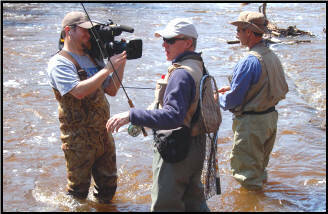 We have been fortunate to have been featured in a few video productions over the years. Our first was with Randy Meier and his show "Cook what you Catch". A great personality and fun guy to fish with. We did a really fun and memorable episode with Kent Hrbek and Hrbek Outdoors, As well as Duluth.com, WDIO TV out of Duluth, and a couple segments with Ron Schara's Minnesota Bound. Here is a 3 part series from Kent Hrbek Outdoors. 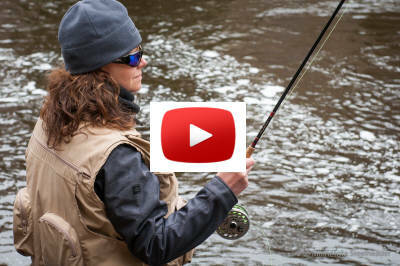 We were invited to guide Kent and Eric along the North Shore for an episode of the Kent Hrbek Outdoors TV series. Featured in this episode are our founder DB and one of our seasoned field staff, Birdog. For more information on the guiding offered by Minnesota steelheader please contact us through our contact page.